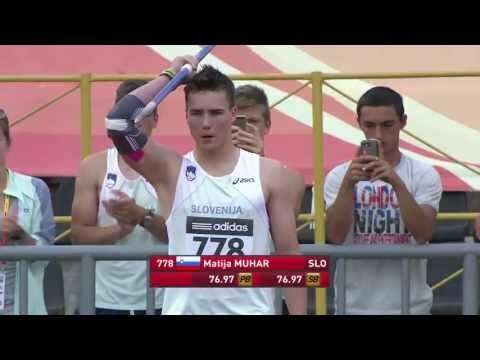 Ask Australia’s 2013 IAAF World Youth Championships Javelin gold medallist Mackenzie Little to tell the likes of Barbora Spotakova and Christina Obergfoll and she admits that she might be hard-pressed to identify the Czech and German stars of her event. However, Little would have no problem identifying the people who have made an impression within her own age group. 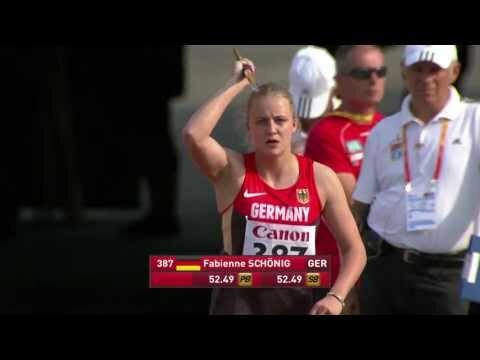 “I’ve never really looked at the seniors very much but I watched what (Germany's 2011 World youth champion) Christin Hussong did when she threw 59 metres with the 600 gram Javelin two years ago and also what Monique (Cilione, the 2011 World Youth Championships bronze medallist) did,” confessed Little, in the wake of her World youth best and championship record of 61.47m with the new 500 gram implement. 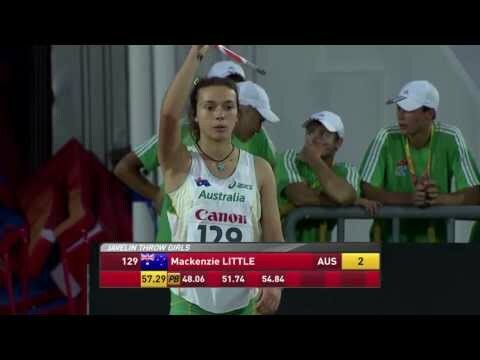 Little's throw also deprived Cilione of the Australian youth record and in a country which is on a high at the moment for women’s Javelin throwing – Little at least knows Kim Mickle, one of her predecessors as a World Youth Championships gold medallist after having won in 2001, and London 2012 Olympic Games finalist Kathryn Mitchell – that’s no small achievement even if, pun intended, it was a Little feat. Cheered on by her coach Annabel Davies and her family – her parents as well as her three younger brothers had spent thousands of dollars to fly half way around the world to support their daughter and big sister – she sent the Javelin out to 57.29m with her first attempt and looked well in control of the competition. However, Cuba’s Yulenmis Aguilar caused a huge shock when she unleashed an effort of 59.94m with her fifth attempt, almost five metres farther than she had thrown before. Aguilar’s big throw though just served to spur on Little and with the very next throw of the competition the Australian improved her own best by more than four metres to clinch the title. “After not such a great start in the qualifiers, I was very happy to throw out a big one. It was just fantastic. Thank goodness I could put it out there in the final. “I was happy with my first throw but I knew it wouldn’t be enough. I tried to not let myself get carried away and I just tried to keep focused," reflected Little. “I was trying not to look at everyone else. I was trying to keep it out there, stay in the zone then I saw her throw (Aguilar’s 59.94m) and I just tried to put it aside. “In the next throw I just did what my coach had been telling me to do and it happened to go out there so obviously I am really happy with that,” said a delighted Little, rather modestly. “Things didn’t go well in qualifying but I made the final, that was the target, but then I saw my family this morning (Thursday) and I wasn’t nervous any more. They came with gifts and all their hugs, it was fantastic, they are all here, my parents and three younger brothers," added Little, whose family plan to have a short family holiday all together before they head back to their home town of Roseville in New South Wales. Little, still 16, threw 56.68m last year to advertise her credentials as a possible gold medal contender in Donetsk. This year, her distances have been good but not quite as impressive, and she came to Donetsk with a best this year of 53.20m. However, it was all part of a deliberate strategy to stay a little lower in her rival’s sights. If all goes well in the next 12 months, another long distance trip awaits her, to the 2014 IAAF World Junior Championships in the United States. “World Juniors next year will be a big goal but I’ll just keep working at it and see where it takes me,” mused the effervescent but erudite Australian teenager.